We are specialists in employment law and litigation work. We take care to provide excellent levels of service to our clients which has resulted in us being one of the three best rated employment law firms in Birmingham. Birmingham has the largest concentration of businesses outside of London. Our aim is to support businesses with their employment law issues. Ideally, we would like businesses to come to us before they have conflicts with their employees. Because we have experience in resolving many employer/employee conflicts, we have greater insight into the root causes of these disputes. We can help businesses improve their systems and practices to reduce the likelihood of conflicts developing in the first place. We believe we are contributing towards keeping the Midlands Engine running smoothly by helping employers in Birmingham and the wider West Midlands area manage their employees lawfully and fairly. After all, “a happy employee is a productive employee”. Our philosophy is to keep it simple. The English legal system is very complex, even for specialists, but when it comes to day to day management of people we believe the best advice is to keep policies and procedures simple so that everyone can understand them. We have supported employees in tribunals where the employer’s policies have been so complicated, even experienced HR personnel haven’t been able to explain them to the judge. When this happens, it benefits our clients. However, we can’t help thinking, had the employer used easy-to-understand policies, would they have gotten into conflict with their employee in the first place. If you haven’t done so recently, take a look at your employee handbook to see if it’s simple or complex. Although our employment solicitors are based in Birmingham, we deal with employment matters across the country. We use cloud based technology to safely share and edit documents with you and can even arrange video conferencing if desired. Everyone in our team lives in Birmingham or the surrounding areas and has chosen to support the Edward’s Trust charity based in Edgbaston, Birmingham. Edward’s Trust was set up in 1989 by Peter and Hilary Dent in memory of their son Edward, who died aged 7 of cancer at Birmingham Children’s Hospital. Over 25 years later the Trust continues to provide much needed support to bereaved families. They provide holistic family bereavement services supporting children, young people and parents across the West Midlands. We contribute to a counselling session for a bereaved parent or child each month in support of this wonderful charity as well as take part in a number of fund raising activities throughout the year. 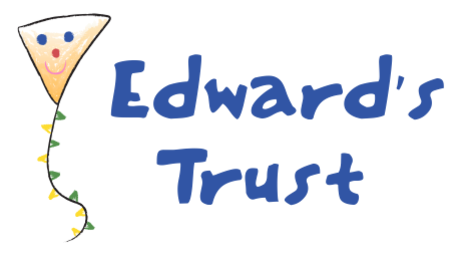 If you wish to know more about Edward’s Trust, please visit their website. The service I received was very professional. Ian Jones dealt with the issue I had in a very compassionate way. He was very thorough in fully understanding the situation to ensure that he could assist me. There were many terms that I was unfamiliar with that he clarified for me. If I need legal assistance again Spencer Shaw will be my first port of call.